The largest vehicle Subaru has ever produced, manufactured at the U.S. plant in Lafayette, Indiana, is already being recalled. 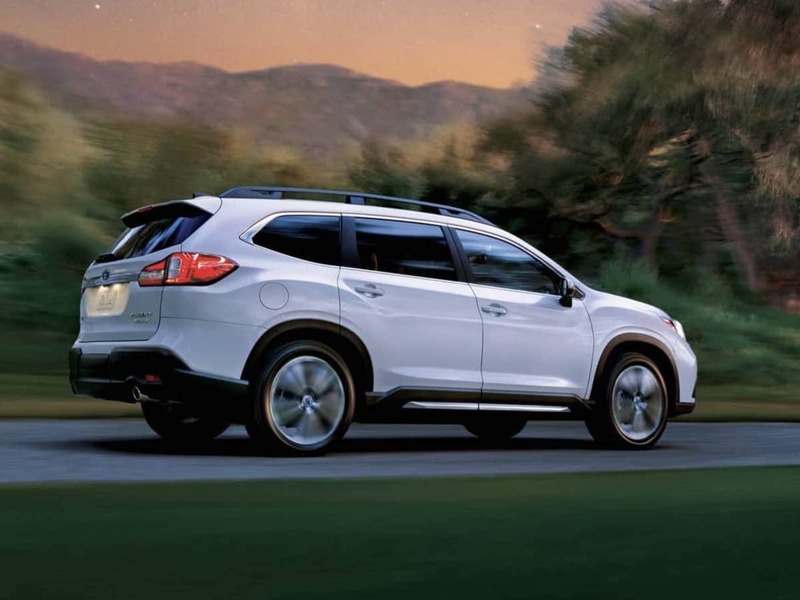 The all-new 2019 Subaru Ascent 3-Row family hauler is being recalled for major structural defects caused by missing spot welds on, or around, the B-Pillar, compromising vehicle strength. The National Highway Traffic Safety Administration (NHTSA) says there are 80 possible missing body welds in the new family vehicle. The NHTSA report says if these spot welds were missed, the strength of the vehicle’s body may be reduced, potentially increasing the risk of injury in the event of a crash. A total of 293 U.S. Ascent vehicles are affected by this recall and had July 13-21 production dates. The vehicles cannot be inspected by dealer staff. Subaru is dispatching factory representatives to inspect all affected vehicles. We are guessing this won’t be an easy fix. The affected vehicles will be taken back to the factory, dismantled, and repaired. Subaru of America says if the vehicle does not pass the inspection, it will be returned to the factory and replaced with a new one. It’s not the first recall for vehicles produced at the Subaru Indiana Automotive plant (SIA). Subaru issued a recall for the 2016-2017 Outback and Legacy models for a dangerous loss of steering. Subaru also issued another recall for the 2015 Outback wagon and Legacy sedan for their Electronic Stability Control. Both vehicles are manufactured at Subaru's Indiana plant. What should new Ascent customers do? Customers will be contacted immediately and will need to return their vehicle to the dealership for inspection. A loaner car will be provided to the customer at no charge until the inspection by the Subaru factory representative has been completed. If the welds are missing, the vehicle will be replaced, free of charge. Subaru will notify owners, and SIA representatives will inspect the vehicle to check for missing spot welds. The recall began on July 31, 2018. Owners may contact Subaru customer service at 1-844-373-6614. Subaru's number for this recall is WTU-80. Every manufacturer has their recalls. What matters is that they are caught before anyone gets hurt. The body recall on Ascents is on the plant's head, no questions about it. However, just because a vehicle comes from a certain plant, that does not mean that the cause of recall CAME from the plant 100% of the time. Many vendors pre-assemble parts for the factory for easier and faster install. But sadly, vendors make mistakes, bad parts get installed, and thus recalls are made. I agree Karen, but it's all about good PR. Subaru has a lot riding on the Ascent (literally) and if word of mouth and problems surface sales will go down. Replacing the vehicle versus attempting to retro-fit/fix is simply the right thing to do. They've already had the QC scandal in Japan and bad PR at the U.S. plant would not bode well for them. Maybe, they should make them in Japan rather than America. Hmmm, just one of the reasons I don't buy first year production models.